Just as self-discipline is the key to success, the lack of self-discipline is the major cause of failure, frustration, under-achievement, and unhappiness in life. It causes us to make excuses and sell ourselves short. Perhaps the two biggest enemies of success, happiness and personal fulfillment, are first the Path of Least Resistance, and second, the Expediency Factor. 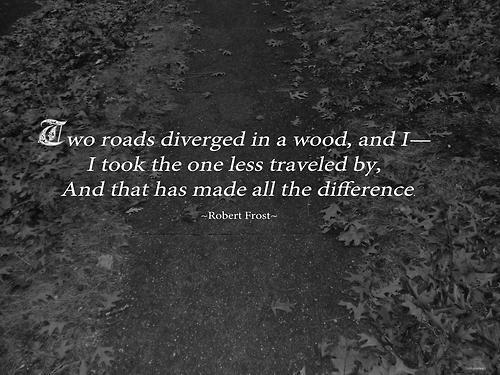 The Path of Least Resistance is what causes people to take the easy way in almost every situation. They seek shortcuts to everything. They arrive at work at the last minute and leave the first opportunity. The Expediency Factor, which is an extension of the law of least resistance, is even worse when leading people to failure and underachievement. This principle says, "People invariable seek the fastest and easiest way to get the tings they want, right now, with little or no concern for the long-term consequences of their behaviors." In other words, most people do what is expedient, what is fun and easy rather than what is necessary for success. A few weeks ago, I had a post about a book and made reference to the fact that I would have loved to have read it when I first started coaching. 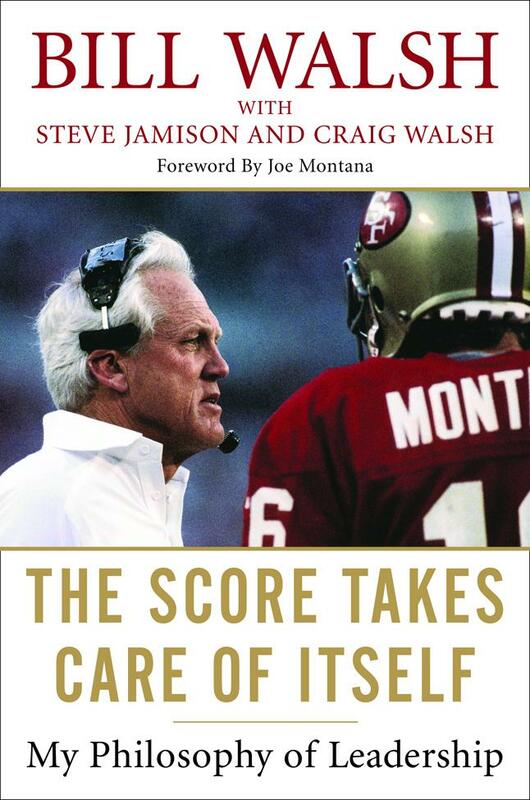 In fact, it would be in my Top 10 books that I think could've impacted me greatly as a young coach just starting out. I have since received a great number of requests asking for the complete list and so each day, over the next few weeks, I will list a book that I think young coaches would benefit from reading as they start their coaching journey. I would imagine that many will be looking for X&O books -- just as I did when I first started coaching -- but instead you will find a list of books that will not only make you a better coach, but a better person. Books that concentrate on teaching, goal setting, communication and leadership. This is a book that is written for head coaches or assistant coaches, bosses or employees, leaders and role players. 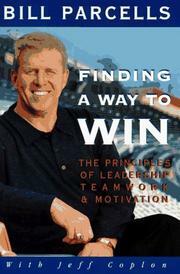 Early in the book Parcells writes: "That desire goes beyond the scoreboard, or the fame, or the money. Those are just the incidentals, the by-products of winning. For me the point is something else: Can you contribute to greatness? Can you witness -- even if just for a moment -- an end product that reflects character and courage and principle?" No on questions the importance of confidence in determining success. But the roots of confidence are sometimes misconstrued. People don't get it from fancy pep talks, or psychological string-pulling, or positive-thinking handbooks. An organization's confidence level is defined, first and last, by its tangible performance. Confidence is only born of demonstrated ability. In my business, a team's collective mental state is ruled by the psychology of results. In other words, past outcomes dramatically affect the group's attitude going into the next game.. A team teaches itself what it is on the field, in action. Sometimes this can be a resource to the leader; at other times, you're fighting your darnedest to overcome it. To keep his team on track, a coach must take this syndrome into account before the fact, and frame the most positive mind-set he can for his players. (As Bear Bryant once advised me, "You better know what you're gonna tell 'em if you're winnin' at halftime, and you better know what you're gonna tell 'em if you're losin'.") Coaches can't leave their teams to decide for themselves what's going on; they have to assert their influence, prepare their players for any results. One is your competition. If your product line can’t compete, you’re in big trouble—whether your rivals are Toyota and Honda or the Dallas Cowboys and the Washington Redskins. The second is public perception, as shaped by the media. If you’re always seen in a negative light, your groups morale will likely go under—along with your performance. The third factor? Division from within—and this is the greatest threat, hands down. When your team is united, it can ward off any flak from negative perceptions; it won’t make any difference what outsiders think. And when your team is working together, your competition will have fewer weaknesses to exploit. But a team divided against itself can break down at any moment. The least bit of pressure or adversity will crack it apart. The first task of leadership is to promote—and enforce—collective loyalty, also known as teamwork. Everyone thinks they know what teamwork means, but very few people really understand it. To begin with, you need to ask: What kind of team do we want? The capacity to get past distractions. There are players who get thrown by less than optimal conditions; they need perfect weather, a perfect playing surface, perfect health. There are other players who can’t be distracted. They can play on grass, turf, or the parking-lot blacktop—the only thing they focus on is the competition. The willingness to condition mind and body for the task at hand. After a leader supplies the needed direction and knowledge base, it comes down to that old cliché: Who wants it more? Which side is prepared to push itself forward and seize the day? The ability to keep your poise when those around you are losing theirs. Mature players will absorb these excesses in stride, even when they’re out-and-out flagrant. I tell my players to put their emotions on hold, to stone-face their opponents. Once the opposition knows what you’re thinking, it gains an advantage. What many people in football—and in business—fail to understand is that there’s a major difference between skill and talent. Skills are basic tools, and we all know they’re important; in football, for instance, you can’t play if you can’t run. But skills alone can’t carry you if you lack the talent to apply them in performance. And talent—and certainly greatness—is more than the sun of a person’s skills. Larry Bird was a great basketball player, but not because he could run or jump or even shoot. 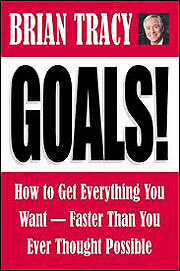 CAREER STARTER BOOK #6: GOALS! There are certainly a lot of outstanding books on the topic of goal setting but this is the best I’ve read. It is detailed and simplistic in its approach. Tracy takes you through a thorough process to first understanding the importance of goals before determining those goals that you need to set for yourself. He then follows it ups with action plans of how to implement those goals. This book has made a difference in me and it is often a book that I give to my players after they graduate to prepare for the next phase of their journey. The greatest enemies of success and happiness are negative emotions of all kinds. Negative emotions from the beginning of time, have done more harm to individuals and societies than all the plagues of history. One of the most important goals, if you want to be truly happy and successful, is to free yourself from negative emotions. One of the most important characteristics of leaders, and the most successful people in every area of life, is that they know who they are, what they believe in, and what they stand for. Life is lived from the inside out. The very core of your personality is your values. Your values are what make you the person you are. Everything you do on the outside is dictated and determined by your values on the inside, whether clear or fuzzy. Perhaps the greatest breakthrough in the twentieth century in the field of human potential was the discovery of self-concept. Everything you do or achieve in your life, every thought, feeling, or action, is controlled and determined by your self-concept. You self-concept precedes and predicts your levels of performance and effectiveness in everything you do. Successful people think about solutions most of the time. Unsuccessful people think about problems and difficulties most of the time. Solution-oriented people are constantly looking for ways to get over, around, and past the obstacles looking for ways to get over, around, and past the obstacles that stand in their way. The fact is that you have the ability to solve any problem or to overcome any obstacle on the path to your goal if you desire the goal intensely enough. You have within you, right now, all the intelligence and ability you will ever need to overcome any obstacle that could possibly hold you back. One quality of the most successful people is that at a certain point in their careers they decided to “commit to excellence.” They decided to be the best at what they do. They decided to pay any price, make any sacrifice, and invest any amount of time necessary to become very good in their chosen fields. Everything in life and business is relationships. Everything you accomplish or fail to accomplish will be boun up with other people in some way. A key part of goal setting is for you to identify the people, groups, and organizations whose help you will require to achieve your goals. To accomplish goals of any kind, you will need the help of lots of people. All successful people work from written plans. The number one reason for failure is action without planning. 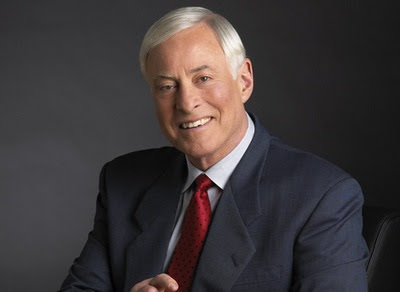 Bonus blog spot from Brian Tracy’s Goals! On seven goal setting questions to ask yourself. This is a phenomenal book written by a phenomenal teacher. In his forward, Hall of Fame quarterback wrote, “That was his thing about perspective: Being really good wasn’t good enough. He taught us to want to be perfect and instilled in the team a hunger for improvement, a drive to get better and better. We saw his own hunger for perfection, and it was contagious. 1. Flying by the seat of your pants precedes crashing by the seat of your pants. 2. Planning for foul or fair weather, “scripting” as it applies to your organization, improves the odds of making a safe landing and is a key to success. When you prepare for everything, you’re ready for anything. 3. Create a crisis-management team that is smart enough to anticipate and plan for crises. Being decisive isn’t enough. A wrong call made in a decisive manner is still the wrong call. I hadn’t planned for the “crisis” up in the booth against the Oakland Raiders, and we lost; I had planned for the “crisis” against Cincinnati when we got the ball with two seconds left on the clock and won. The former desperate situation was, indeed, desperate; the latter was not, because we were ready for it. 4. All personnel must recognize that your organization is adaptive and dynamic in facing unstable “weather”. It is a state of mind. Situations and circumstances change so quickly in football or business that no one can afford to get locked into one way of doing things. You must take steps to prepare employees to be flexible when the situation and circumstances warrant it. 5. In the face of massive and often conflicting pressures, an organization must be resolute in its vision of the future and the contingent plans to get where it wants to go. 6. You bring on failure by reacting in an inappropriate manner to pressure. The key to performing under pressure at the highest possible level, regardless of circumstance, is preparation in the context of your Standard of Performance and a thorough assimilation by your organization of the actions and attitudes contained within your philosophy of leadership. I might do even less strategizing for a Super bowl game, because in the midst of the extreme pressure I placed a premium on fundamentals, the skills and the execution ability the team already possessed as a result of our concentration and hard work going all the way back to day one of training camp and the previous training camp and the one before that. I approached building the 49er organization with an agenda that didn't include a timetable for a championship or even a winning season. Instead, I arrived with an urgent timetable for installing an agenda of specific behavioral norms -- actions and attitudes -- that applied to every single person on our payroll. To put it bluntly, I would teach each person in the organization what to do and how to think. The short-term results would contribute both symbolically and fictionally to a new and productive self-image and environment and become the foundation upon which we could launch our longer-term goal, namely, the resurrection of a football franchise. While I prized preparation, planning, precision, and poise, I also knew that organizational ethics were crucial to ultimate and ongoing success. It began with this fundamental leadership assertion: Regardless of your specific job, it is vital to our team that you do that job at the highest possible level in all its various aspects, both mental and physical (i.e., good talent with bad attitude equals bad talent). I was insisting that all employees not only raise their level of “play” but dramatically lift the level of their thinking – how they perceived their relationship to the team and its member; how they approached the vagaries of competition; and how willing they were to sacrifice for the goals I identified. On the field (and elsewhere) the assistant coaches and I were conscientious about educating players so they appreciated that when Jerry Rice caught a touchdown pass he was not sole responsible, but an extension of others – including those who blocked the pass rusher, receivers who meticulously coordinated their routes to draw defenders away from him, and the quarterback who risked being knocked unconscious attempting to throw the perfect pass. Likewise, failure belongs to everyone. 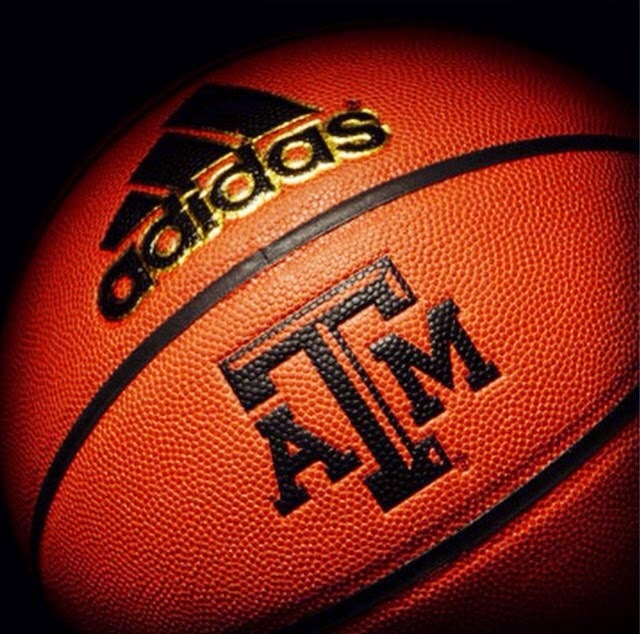 If you or a member of your team “drops the ball,” everyone has ownership. 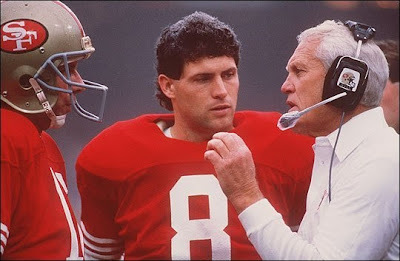 This is an essential lesson I taught the San Francisco organization: The offensive team is not a country unto itself, nor is the defensive team or the special teams, staff, coaches, or anyone in the organization separate from the fate of the organization. We are united and fight as one; we win or lose as one. Leaders sometimes wonder why they or their organization fail to achieve success, never seem to reach their potential. It’s often because they don’t understand or can’t instill the concept of what a team is all about at its best: connection and extension. This is a fundamental ingredient of ongoing organizational achievement. Combat soldiers talk about whom they will die for. Who is it? It’s those guys right next to them in the trench, not the fight song, the flag, or some general back at the Pentagon, but those guys who sacrifice and bleed right next to them. “I couldn’t let my buddies down,” is what all the soldiers say. Somebody they had never seen before they joined the army or marines has become someone they would die for. That’s the ultimate connection and extension. The leader’s job is to facilitate a battlefield-like sense of camaraderie among his or her personnel, an environment for people to find a way to bond together, to care about one another and they work they do, to feel the connection and extension so necessary for great results. Ultimately, it’s the strongest bond of all, even stronger than money. 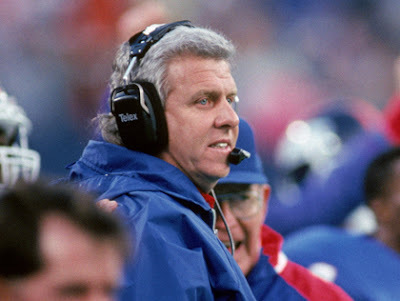 Bonus blog post from The Score Takes Care of Itself on Bill Walsh andbeing a leader – 12 habits plus one. 1. The Right People Fit with the Company’s Core Values. Great companies build almost cult-like cultures, where those who do not share the institution’s values find themselves surrounded by antibodies and ejected like a virus. People often ask, “How do we get people to share our core values?” The answer: you don’t. You hire people who already have a predisposition to your core values, and hang on to them. 2. The Right People Don’t Need to be Tightly Managed. 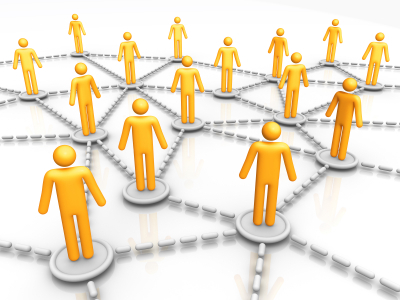 The moment you feel the need to tightly manage someone, you might have made a hiring mistake. If you have the right people, you don’t need to spend a lot of time “motivating” or “managing” them. They’ll be productively neurotic, self-motivated and self-disciplines, compulsively driven to do the best they can because it’s simply part of their DNA. 4. The Right People Fulfill Their Commitments. In a culture of discipline, people view commitments as sacred—they do what they say, without complaint. Equally, this means that they take great care in saying what they will do, careful to never over commit or to promise what they cannot deliver. 5. The Right People are Passionate about the Company and Its Work. Nothing great happens without passion, and the right people display remarkable intensity. Oneness -- a team is One. What more liberating experience is there than to feel whole, purposeful, and in sync? My most glorious moments as a player occurred when every moving part on the team worked together and I played my role in concert with my teammates. 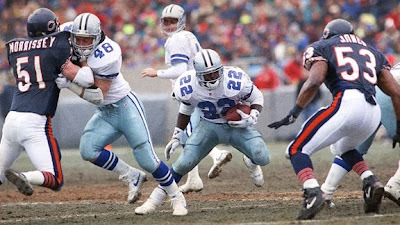 Emmitt Smith was recently inducted into the NFL Hall of Fame. With tears of gratitude, he thanked his family, former coaches, and teammates for helping him reach the pinnacle of achievement. But his heartfelt thanks went to Daryl Johnston, the Cowboys fullback who cleared the path for many of Smith's great runs. "You mean the world to me," the tearful Smith told Johnson, asking him to stand up and be recognized by the crowd, "not just because we shared the backfield, but because you sacrificed so much for me. You took care of me as though you were taking care of your little brother. Without you I know today would not have been possible. I love you from the bottom of my heart." This epitomizes the transformative power of community. Johnston liberated Smith literally and figuratively on and off the field. And I am sure Johnston would say the same of Smith. African American Emmitt Smith from Pensacola, Florida and the University of Florida pronouncing his love and affection for white Daryl Johnston from Youngstown, New York, and Syracuse University. We need each other, we belong to each other, we effect each other, and together we can liberate sports, players, coaches, schools communities, and a whole country of young people. First, I am such an amazing believer in the words written by John Maxwell. To me, he is the leading author of my generation in terms of improving ourselves. 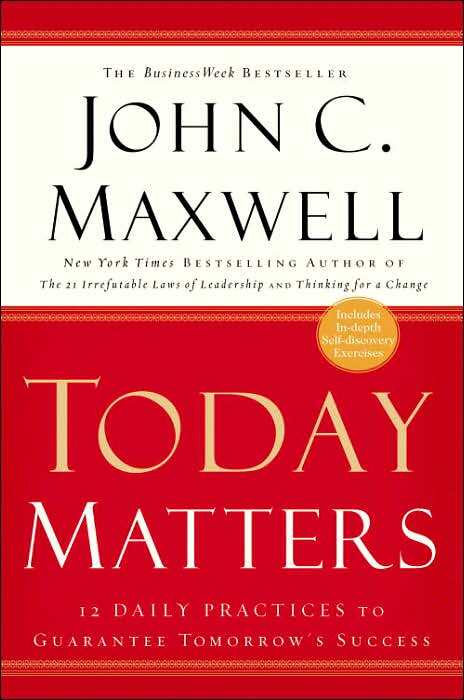 I could write a list on the top 10 books written by Maxwell but this book in particular is great for beginning coaches because it is about living out today to its fullest – understanding the priorities of today in order to be successful tomorrow. And this is something that young coaches can sometimes struggle with as they are living in the future while forgetting about today. Each summer we try to coin a phrase to center our team's motivation around. This summer the phase is simply, "WIN TODAY." We told our team that to have a great summer that we needed them to rise out of bed each morning and ask, "What do I need to do to win today." It could mean extra effort in the weight room...it could mean some extra conditioning or agility with Jen Jones...it could mean getting the gym to work on your shot or ball handling...it could mean eating correctly...it could mean taking some time to help one of our freshman who is away at college for the first time...it could mean not going out tonight because you have an important exam in summer school tomorrow. But our goal is to WIN TODAY. We have talked to our players about understanding they will win or lose games this summer even though we are months from practice. We have a chance to improve individually as well as improve as a team each day and that will only get us closer to our goals. We have did several things to remind our players about winning the day that are both physical and visual and I will share them with you at a later day. 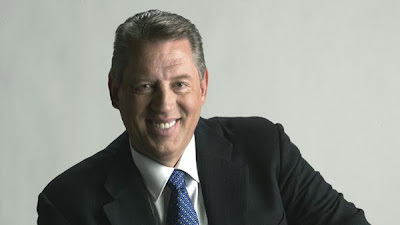 For now, I want to share some passages from John Maxwell's book, "Today Matters." It was the inspiration in us coming up with this summer motto and some of these passage are ones that we share with our team throughout the next few months. “You will never change your life until you change something you do daily. You see, success doesn’t just suddenly occur one day in someone’s life. For that matter, neither does failure. Each is a process. Every day of your life is merely preparation for the next. What you become is the result of what you do today.